The head of the city's Administration for Children's Services broke down at a City Council hearing Monday while discussing the case of the 6-year-old boy who died last month after allegedly being abused. Gladys Carrion fought back tears as she told the City Council, "I have committed my entire career to helping children and families, and losing a child is unbearable. And it's my responsibility, and one that I take seriously." Carrion previously said in a tearful interview with the I-Team that "we can't keep every child safe." The hearing Monday was called in response to the death of Zymere Perkins, who died from fatal child abuse syndrome, the medical examiner ruled. He showed evidence of acute and chronic abuse and neglect that ultimately led to his death, according to the medical examiner's office. The manner of death was homicide. 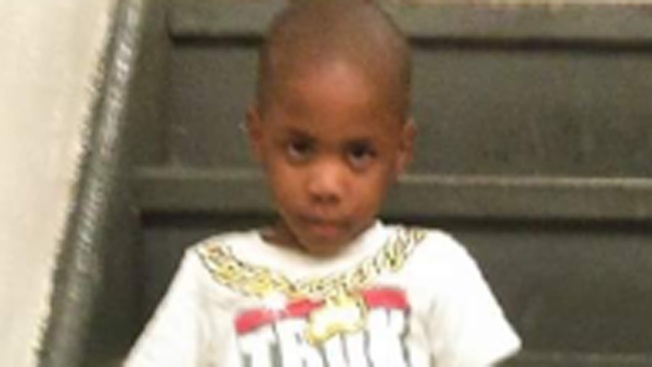 Zymere's mother, Geraldine Perkins, and her boyfriend, Rysheim Smith, who were intially charged with child endangerment, are now facing charges in the boy's death. Zymere died Sept. 26 after what prosecutors say was months of abuse by his mother and her boyfriend. On the day he died, his mother's boyfriend allegedly beat him with a broomstick and hung him by his shirt over the back of the bathroom door, apparently enraged when the boy defecated in the living room of their Hamilton Heights apartment. Zymere was left on the bed unconscious and when he didn't wake up, was taken to the hospital, where he was pronounced dead, authorities said. The family had been on ACS' radar long before Zymere died, the I-Team previously reported. Zymere's mother, Geraldine Perkins, had been investigated at least five times, and Zymere had not been to school this year. He should have been in the first grade. Many wondered why that wasn't a red flag for the agency. "I am deeply concerned that despite several agencies' involvement with this family, we could not protect Zymere from the abuse he suffered," said Carrion. A very different message from Mayor Bill De Blasio who refused to accept that sometimes the ACS fails children with fatal consequences. Melissa Russo has this update on her interview with ACS Commissioner Gladys Carrion. Five ACS case workers were placed on desk duty after Zymere died, and four others were suspended for a month without pay, but city lawmakers Monday weren't satisfied with that being the only answer. "It's past time for change at ACS," said New York City Public Advocate Letitia James. "Lives are being ruined every day by the agency that has failed them." ACS case workers filled the chamber audience, frustrated by huge case loads and lack of support. The City Council is planning an oversight hearing on the city’s response to allegations of child abuse in the wake of last week’s tragic death of 6-year-old Zymere Perkins. His mother had been the target of at least five ACS probes. The I-Team’s Melissa Russo sat down with ACS Commissioner Gladys Carrion about the case. "We just don't have control -- sometimes we just can't," said case worker Joanne Desmangeles. At the hearing, Carrion announced reforms for ACS -- specifically, getting schools and ACS to work together more closely.